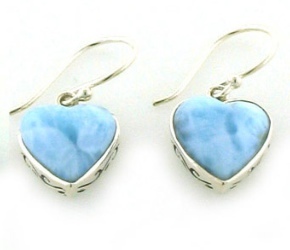 These larimar earrings feature quality larimar gemstones sourced from the Dominican Republic - the only source of larimar in the world. 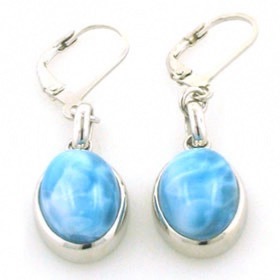 Larimar has characteristic cloud patterns (reticulations) and the gemstone is a wonderful aqua blue colour varying from pastel to intense. 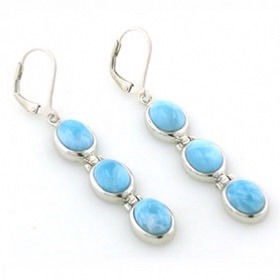 See our larimar bracelets and larimar pendants to make a larimar jewellery set. 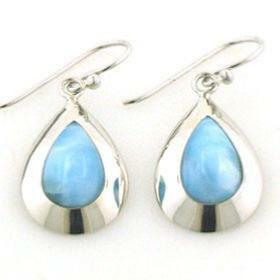 Our collection includes larimar drop earrings and larimar stud and droplet earrings - perfect for day or evening wear. 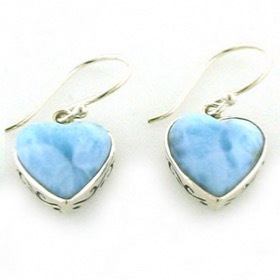 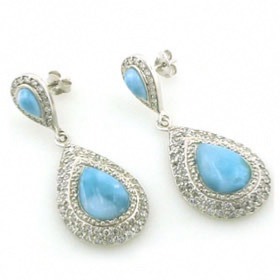 Enjoy Free Delivery anywhere in the UK on all our larimar jewellery.